The home value median amount was $80,000 while the mean amount was $143,846 for all owner-occupied units in the CNMI in 2017. Units with a home value between $50,000 and $99,999 was the highest percentage (30.9%) of all owner-occupied units; units less than $50,000 was 24.3%; units between $100,000 and $149.999 was 18.5%; units between $150,000 and 299,999 was 17.8%; while units with $300,000 or more was 8.5%. The home value median amount was highest in Tinian ($85,000), followed by Saipan ($80,000), then Tinian ($75,00). 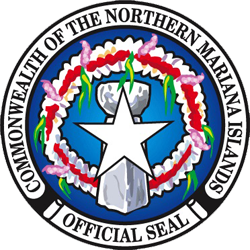 The mean amount was highest in Saipan ($167,276), followed by Tinian ($127,350), then Rota ($92,957). In other words, self-declared home value, in general was lower in Rota than in Saipan and Tinian. As shown, in Chart 31.1 and Table 31.1, percentage of units valued between $50,000 and $99,999 was 41.4% in Rota, 38.6% in Tinian and 29.7% in Saipan. 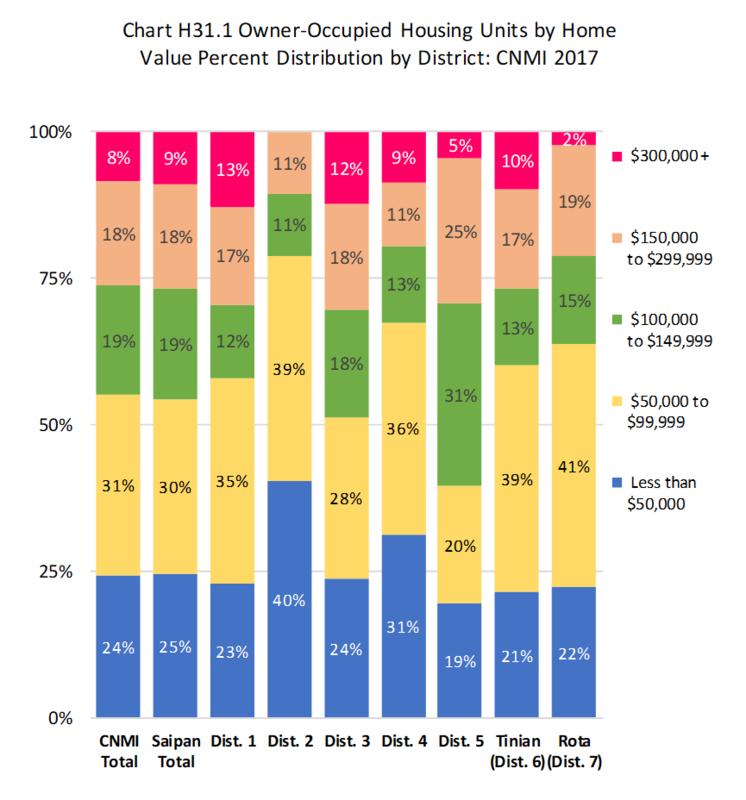 Within Saipan, home value median was highest in District 5 ($100,00) and lowest in District 2 ($50,000) while the mean amount was highest in District 4 ($323,914) and lowest in District 2 ($61,500). The percentage of all units with home value less than $50,000 was highest District 2 (40.3%) and lowest in District 5 (19.5%). The percentage of all units with home values between $50,000 and $99,999 was highest District 2 (38.6%) and lowest in District 5 (20.0%). The percentage of all units with values between $100,000 and $149,999 was highest District 5 (31.4%) and lowest in District 2 (10.5%). The percentage of all units with values between $150,000 and $299,999 was highest in District 5 (24.5%) and lowest in District 2 (10.5%). The percentage of all units with values $300,000 or more was highest District 1 (12.8%) and lowest in District 2. See Chart 31.1 and Table 31.1 for more detail. Table H31.1 Occupied Housing Units by Dwelling Value, by Island, and by District: CNMI, 2017 4th Qtr.